PT Trakindo Utama has been Indonesia’s most famous heavy equipment dealer in Indonesia, and Achmad Hamami is the one behind its success. Established in 1971, it quickly rose to become one of the most successful heavy equipment dealers, especially for Caterpillar brand. At the time when such business was not really popular, Achmad Hamami chose to ignore the fact and managed to bring his business into a successful international business. Until now, Trakindo remained as the most popular heavy equipment supplier in Indonesia, and even managed to stand during monetary crisis in 1998. Achmad Hamami has had his business instinct since young, but he only got his big break after finishing military service and started PT Trakindo Utama. With just limited Caterpillar products to sell at first, his business boomed quickly because of economic growth in Indonesia during the 70’s and 80’s. Product types he offered started to grow. The company sold generator, parts and accessories, heavy equipment, and even offering welding and repairing services. Besides Trakindo, he also started other similar companies that act as supporter of his main business with Trakindo. 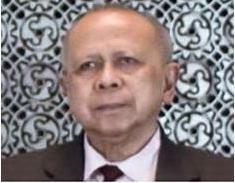 He established PT Sanggar Sarana Baja in 1977 and PT Chandra Sakti Leasing in 1995. These supporting companies put more focus on supplies for mining companies, which are also booming in Indonesia. The companies are so successful that PT Sanggar Sarana Baja was even able to acquire PT Porter Rekayasa Utama, another similar company, and turned it into new division of the company. Outside supplier business, he also started other businesses such as PT Mitra Solusi Telematika, which is an IT company that gives information management service for business. He also managed to expand Trakindo business as an official agent for Bitelli, LAKO Harvester and Sykes Pumps. Achmad Hamami managed to keep his business afloat and even improve it; after notorious monetary crisis in Indonesia that made many big companies declared bankruptcy, Achmad Hamami kept PT Trakindo Utama in business, and even later named as the best Caterpillar supplier in Indonesia in year 2003 and 2005. He is never satisfied in one business, and this business spirit has been transferred to his children. His third son, Muki, has taken over PT Trakindo from his father, and the spirit of Achmad Hamami as business person continues to bring PT Trakindo as one of the most successful heavy equipment supply companies. Mr. Hamami is truly a Gentleman and a learned scholar. I hold him with the highest respect possible. A wonderful man and I am honoured to have met and worked for this honourable Gentleman .